Founded in the Netherlands in 1984 by Tony Berk. 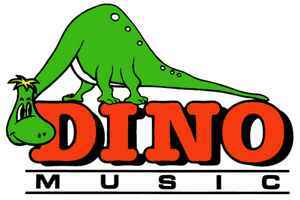 In 1994 BMG Ariola Benelux took over 50% of the shares of Dino Music, but sells them back later to Tony Berk (exact date unknown). In 1998 Dino Music merged with Bunny Music. In 2001 EMI Music Netherlands BV took over 75% of the shares of Dino Music from Tony Berk. In 2004 the last 25% of the shares was acquired by EMI Music Netherlands BV. After the collapse of EMI in 2012, the label was revived in 2013 by 8ball Music. Boa tarde, esse seu vinil Opus ‎– The Power Of Live Is Life (Bingo House Remix) vem com a verão euro?